Guided tours with never more than 16 guests. 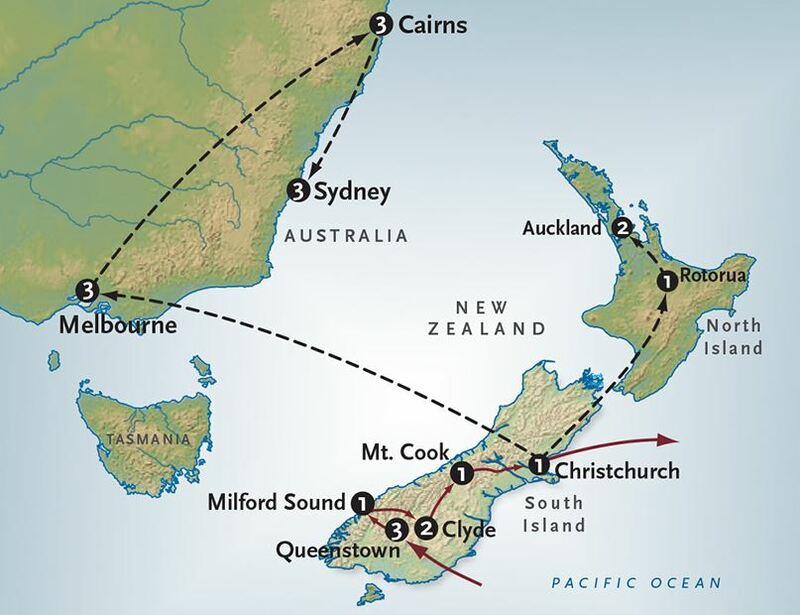 From the vibrant modern spirit of Sydney and Cairns to the natural wonders of the Blue Mountains and Great Barrier Reef, this perfectly-planned one week tour of Australia is the perfect complement to your exploration of New Zealand’s magnificent South Island! Alexander+Roberts has been offering original journeys since 1947. For more information, please visit www.alexanderroberts.com.